For me, Dance Moves is an intensely evocative album. It brings to mind the times in my life where I'm going to a specific place on a summer evening. The sun is no longer high in the sky, but it isn't yet below the horizon. The heat of the day is dissipating, and the breeze is refreshing. I'm excited about my destination, whether it is a backyard party, a gathering on the beach, or a club with an open deck overlooking the water, but I'm enjoying the drive and savoring the anticipation and the journey. Dance Moves could be playing in the car, but if it isn't, it is playing in my head. 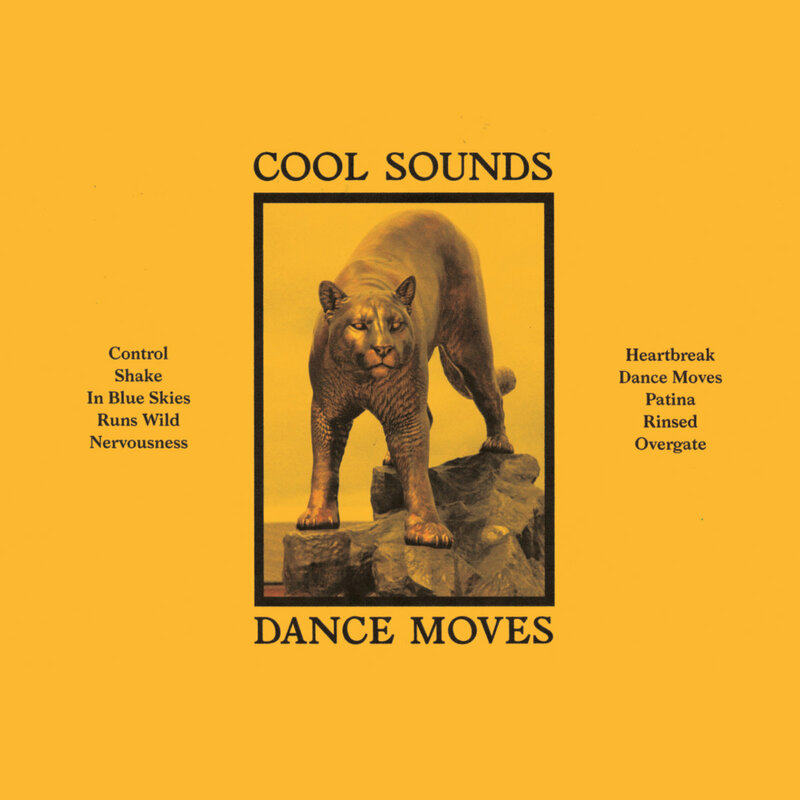 Melbourne's Cool Sounds refers to their music as "jazz-gaze", but you'll probably need a bit more of a description. The melodies are relaxed, the bass up-front and teasing. The vocals and synths are warm and yearning, and the horns add the perfect layer of polish. The vibe is chill from start to finish. I feel comfortable suggesting that this is an album you will like more each time you hear it. And I'm a current expert on the subject as I've listened to it five times today. When I press publish on this post, I will relax and reward myself with a sixth. This one is highly recommended for your summer transport soundtrack folks, and at home I would pair it with any fine beverage. It is out now via Deaf Ambitions. Phillip, Josh and Ryan, the trio that comprises Glasgow's PAWS, have spent much of their recent lives on the road. That kind of schedule can fuse the members together, or drive them apart. In the case of this band, it appears to have made them closer. 2016 PAWS are a well oiled and A+ maintained rock machine, and they prove it without question on their new album, No Grace. The pop punk delivery that thrilled us on their prior records remains, but on this album there is a bit more polish. The sound is big and bold, initially demanding your attention, and ultimately justifying the time spent listening. Many records can give us pleasure, but the best give us songwriting that pulls no punches, and performances that evince utter conviction. No Grace is such a record. For us, a perfect triple bill right now would be PAWS, Royal Headache, and Blank Realm. But until that happens, get this record. No Grace is out now via FatCat Records. Young French-Canadian talent Charlotte Cardin shares another gem of her art with "Faufile", which will be included on her debut EP, Big Boy. Cardin's fusion of electronic production and her retro pop/jazz style give her a timeless appeal. Sonny & The Sunsets don't permanently attach themselves to any specific style, but they always provide compelling, if unquestionably off-beat, stories and high quality performances. For Moods Baby Moods, their sixth album, Sonny Smith's San Francisco outfit gives us drum machines and woozy synths. But characteristically defying typecasting, the new wave sensibilities are leavened with funk and a variety of technological bells and whistles. And, of course, there are spoken word sections from various characters. The vivid stories mine the weirdness of modern life, with characters who live on the edge, fantastical settings, a space alien or two, and the other facets of every day life in the city by the Bay. At times it plays like a mostly musical old time radio show, but the angst, uncertainty and weirdness of modern life is always engagingly and entertainingly set forth. The arrival of a new album from Sonny & The Sunsets has always been cause for celebration around WYMA, and this album is no exception. You can never predict where the journey will take you, you just know it will be worth your time. 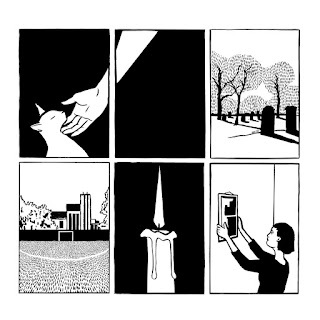 Moods Baby Moods is out now via Polyvinyl Records. For five years Melbourne's Brodie J. Brummer, Gemma O'Connor, Melanie Barbaro, and Andy Lloyd Russell have been delivering satisfying chunks of well-crafted, pop and psych-glazed shoegaze under the name Flyying Colours. 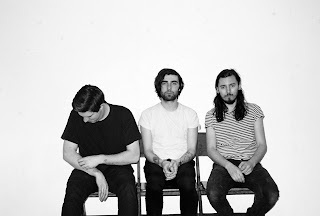 September will bring Mindfullness, their new LP for Club AC30. The lead track has just hit the airwaves, and you can stream it below. To our ears it is big and rumbling head-banger, and it suggests that Mindfullness may be the band's best work to date. Today is the birthday of Laz McCluskey, a Glasgow musician and songwriter who records and performs under the name Bubblegum Lemonade, as well as part of the duo Strawberry Whiplash. Making his week even more special is his upcoming Bubblegum Lemonade EP, Beard On A Bike. The EP features four songs of bubblegum pop, with jangle, plenty of reverb and a dose of western twang. Touchstones are early Primal Scream, The Jesus And Mary Chain and a number of your favorite '60s bands. The title track is a jaunty tale of a psychopath on a bike path -- happy dreams! The tempo slows for the Rickenbacker-driven "Golden Afternoon". "Saturday Girl" is an upbeat jangle pop joy, and "Looking Out For You" ends the EP with a warm, '60s-infused tug on your heartstrings. We assure you, Bubblegum Lemonade is both our favorite flavor of gum and our favorite brand of lemonade, it is that good! 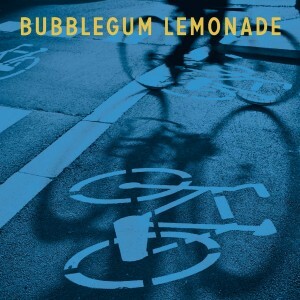 "Beard On A Bike" will be on Bubblegum Lemonade's next album, The Great Leap Backward, which will be out later this year. But you'll need to buy this record to get the other three songs. And you can do so either as a digital download or CD via Matinee Recordings.